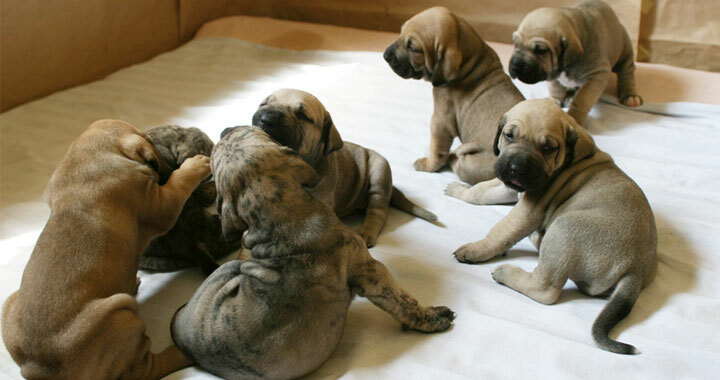 Fila Brasileiro puppies: Closely observing your puppy `s growth will help you understand the stages of its development and the things you need to be aware of. 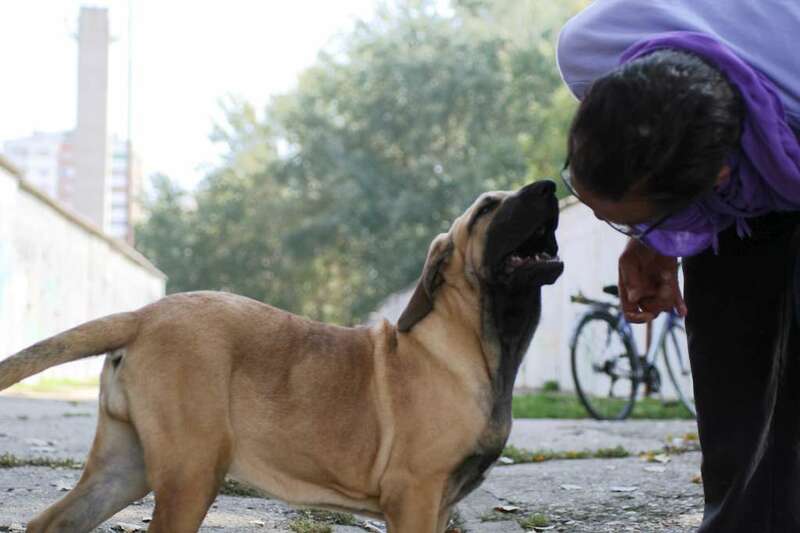 At the very beginning, from the moment of birth to seven weeks, puppy`s needs are simple. Most of all they need food, sleep and warmth and they respond to simple and gentle touching. Puppy`s mother is essential for security and discipline. Pup also needs littermates for learning how to interact with other dogs. In this period pup learns to function within a pack and learns pack order of dominance. Puppy begins to be aware of its environment and begins to socialize. From 8th to 12th week puppy’s brain will be fully developed. During this period pup needs socializing with the outside world. This is the adequate time to be taken away from its mother and littermates. Puppy transits from canine to human pack. It is crucial to establish human dominance. Between 8th and 16th week occurs a fear period so try to avoid fright or pain in interaction. 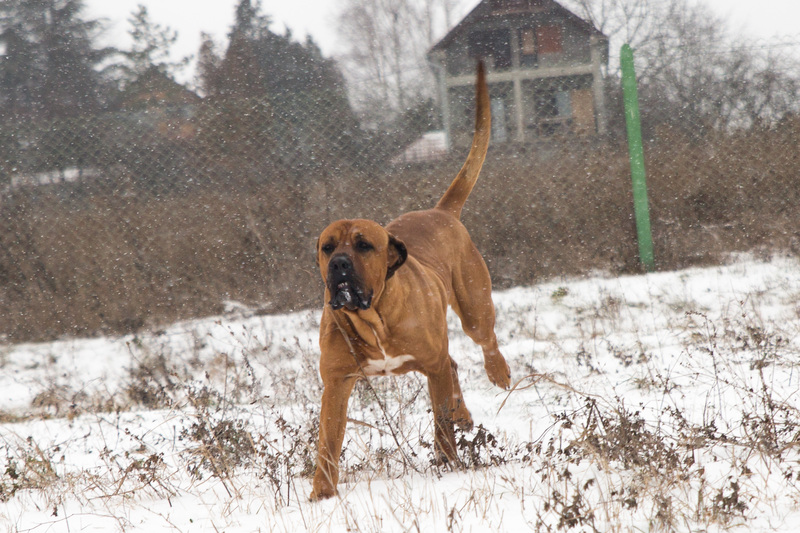 From 13th to 16th week you should start with the training and formal obedience. Try to expose your puppy to other people, places or situations more than to other dogs because this is the time when your pup is transiting to adolescence and when it forms its future behavior. So be patient, firm and fair. Most of all be consistent. Flight instinct is prominent in this period. Excessive tolerance and over-disciplining can do permanent damage so avoid it. Pup is considered a juvenile when it is 4 to 8 months old. From 7th to 8th month begins another fear period. It passes quickly, but again be cautious of the fright and pain experience. Pup reaches sexual maturity. Its dominant traits are established. At that point your dog should understand simple commands such as sit, come and stop.